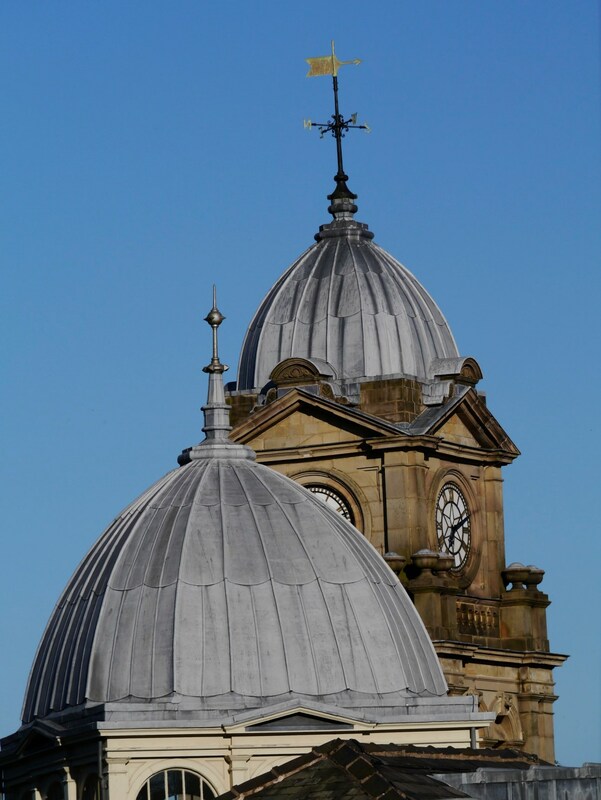 The Spa Town of BUXTON rests in a hollow in the High Peak district of Derbyshire. The bleak aspect of the surrounding heather moorland is in sharp contrast to the town, surrounded by trees and 305 metres above sea level at the point where the thermal springs rise through the bedrock. Peak District National Park, the first National Park in the UK, wraps itself around the town. There is no better summary of the town’s long history than that written by John Leach in his 1987 work “The Book of Buxton”. We know from traces of homes in Lismore Fields – a Stone Age settlement – that man settled here over 6000 years ago. Others left their mark in caves including Poole’s Cavern, monuments, pottery and artefacts as well as weapons. At Buxton’s warm springs the Celtic goddess of the grove was worshipped. 2000 years ago the Romans developed the first spa, Aquae Arnemetiae. In the seventeenth century the second Duke of Devonshire rebuilt the Hall and so began the patronage that shaped the town for 200 years. With the advent of roads, canals and railways Buxton’s popularity was assured. By the 12th century the town was known as Buckstones. It was Crown land with Fairfield a hamlet close to the Royal Forest of the Peak. St Anne was canonised in 1382 and by the sixteenth century the waters at Buxton were famous for their curative properties, coupled with Jerusalem and Rhodes. When Henry VIII dissolved the Church as it was known, landowners moved in. Henry’s Commissioner Cavendish married Bess of Hardwick and bought into Buxton. Later, Bess married George Talbot, guard to Mary Tudor (Queen of Scots) who stayed at the Old Hall Hotel to take the waters. 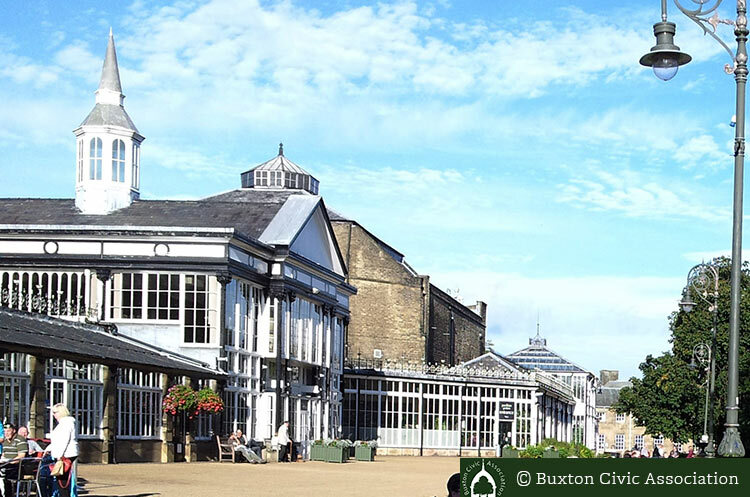 Have you ever wondered what one of Buxton’s buildings was used for? Or what a building used to look like? Find out from the fantastic collection of historical photographs at Picture the Past, click on the link above. Previously lime extraction and burning had been very primitive, mostly taking place on Grin Low (now Buxton Country Park – in the care of BCA). Now, together with coal mining quarrying and lime production was stimulated. Landowners made money, developed the town and encouraged the arts, education and sport. Benevolent as they were, the landowners’ controlling role was only ended by death duties. Spa treatment ended in the 1960s. The old Vestry, ‘governing’ the town, had spawned a Board of Health and in turn a Council which became a Borough. The proliferation of churches and chapels merged and reduced in an increasingly materialistic age, while the theatrical tradition persisted. Light industry developed and firms like ICI controlled the riches of the earth. Yet every year the wells are dressed and more people come forward to help and to volunteer through Buxton Civic Association to protect, conserve and enhance our long heritage and Buxton’s unique wooded setting in the hills. Why not try Buxton Water free of charge at St Ann’s Well which is opposite the towns Georgian crescent, you will be surprised by the temperature! Industrial beginnings followed by a generation of art, culture and tourism, progressing to health and well being. Shown above, part of the stables built by the 5th Duke of Devonshire, now the university of Derby.